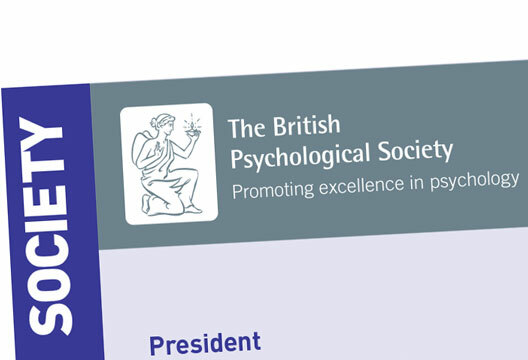 What is the British Psychological Society for? Sandie Hobley asks; Director of Policy and Communications Kathryn Scott replies. In a very moving article recently, an FT Journalist highlighted the fact that at least thirty UK veterans of Afghanistan have committed suicide since the beginning of 2018 (Matthew Green, FT Weekend 25-26 August). He goes on to point out that it is now just over a century since Myers introduced the term ‘shell shock’ to identify what we now know as Post-Traumatic Stress Disorder (PTSD). As we move towards the centenary of the end of WW1, Green suggests that the most fitting tribute we could pay to all those who died as a result of WW1 (and beyond), is to integrate all that we know currently into systems of care for all those suffering from PTSD including the families of those affected. A short time after reading Green’s article, I was browsing through The Psychologist for September and came across the incoming BPS President’s remarks on one thing she is aware of on entering her role. Her response was to paraphrase JFK’s challenge to his countrymen saying that the job is concerned with what she can do for the Society rather than what the Society can do for her. Juxtaposed as this statement was in my mind with Matthew Green’s impassioned plea for coherent action on PTSD, I have to confess to being somewhat underwhelmed by Professor Bullen’s perspective here. Further reflection forces me to conclude that the BPS has become overly focused on itself and too concerned with its own affairs. This is far from Professor Bullen’s fault; rather it is our collective failure as a Society. While the BPS has been busy looking inward, a huge range of problems have developed across sectors where psychology could (and should) be playing a part. There is a chronic under-supply of mental health provision by the NHS; ever more exploitative employment practices in public and private sectors; significant reductions in the funding of special education services by cash-strapped local authorities; and a clear crisis unfolding in our prisons. What has the BPS been doing while families and friends struggle to access timely and appropriate services for children and other vulnerable groups? This is a very good question and something that has been on my mind as Director of Policy and Communications. My job is to work out how we can use the tools and evidence of psychology to have a greater impact on the rest of the world – and ultimately make things better for people. The Board of Trustees agreed a statement which expresses the impact which the Society will have if we successfully achieves our aims: People, organisations and communities are equipped with the everyday psychological knowledge to navigate a complex world. Everyone can access evidence-based psychology to enhance their lives, communities and wider society. I see my role as working out how we can do that and, of course with a discipline as broad as ours, where do we start. Colleagues from the policy team are already involved in work that is directly influencing policy and practice across the country. For example, we have been contributing evidence to the governnment’s review of the benefit system and are directly influencing MPs and Peers around issues such as Mental Health, Workplace wellbeing and Neurodiversity, Dementia, and we’ll launch a report on the psychological dimensions of obesity later this year. We are part of NHS/HEE working groups on the future workforce and are helping to shape qualifications. We can always do more, but we have a seat at many of the important tables. You can subscribe to our policy newsletter if you would like regular updates of our work. Psychology has so much to contribute that it’s often difficult to decide which bit of ‘our country’ and of our discipline do we prioritise? That’s why we have launched the Senate process this year to get ideas from members about which issues they think we should be our focus. The policy proposals going forward to full senate are on Refugees and Asylum Seekers, Psychology and Future Technologies and Children and Young People’s Mental health – the chosen topics where I will be deploying the resources of my team over the next 12 months. We still have a bit of looking inward to do in order to design a Society that is fit for the future, and the Society Review, will be tackling that – our new Chief Executive has ramped up activity on that front. So yes, we should definitely be asking ‘What can the BPS do for its country?’. Thank You for holding us to account in such a powerful way in your letter.